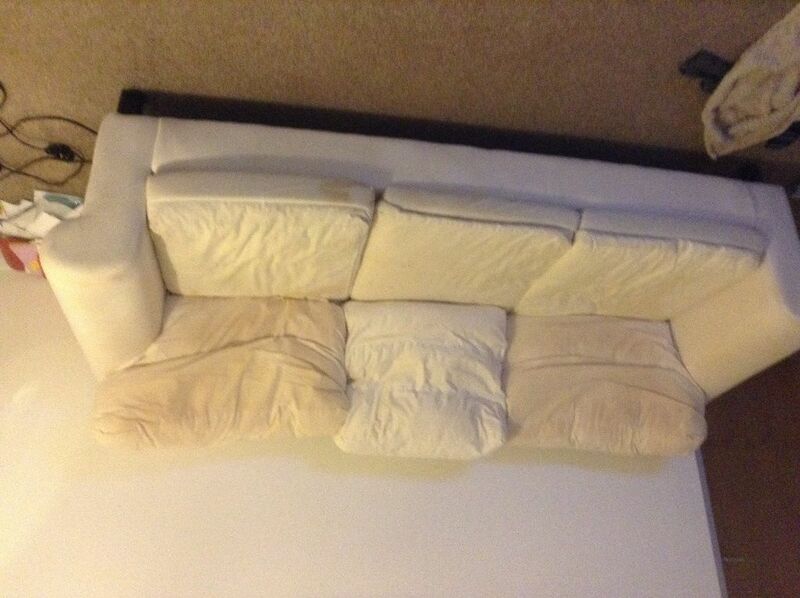 Discoloured sofa with broken leg & no cover. You will be able to get a new leg free in ikea(screws on). Free to those who want it. A good old steam clean and new covers & it could be as good as new. Pick up ASAP Although stained no odours or unclean.From a clean home.